ASUS and GIGABYTE have issued BIOS updates for their Intel 300-series chipsets-based motherboards that enable the platforms to work with Intel’s upcoming 9th Gen Core processors featuring a new stepping. 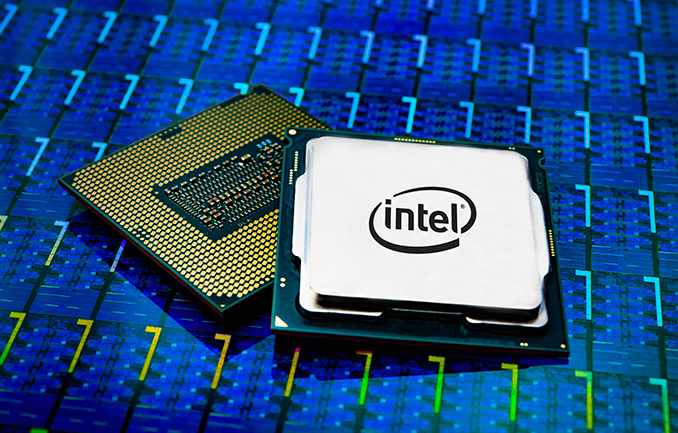 The new CPUs will reportedly be available in the coming weeks. Starting this week, all of ASUS’ 300-series motherboards with the latest BIOS versions will support Intel’s upcoming 9th Generation Core processors based on a new stepping. GIGABYTE has also issued new BIOS versions for its 300-series mainboards to enable support for the aforementioned CPUs. GIGABYTE reveals that the new stepping will carry the R0 stepping ID. Intel’s existing 9th Gen Core processors carry the P0 stepping ID, whereas the 8th Gen Core processors use the U0 silicon. ASUS says that the new Coffee Lake R0 CPUs will be released in the second quarter. Regrettably, neither of the motherboard makers disclose differences between the current and forthcoming CPUs. ASRock has also made a similar announcement. Producers of processors release new product steppings for many reasons. Some new steppings fix certain errata, other enable higher clocks or lower TDP. Without a proper disclosure from Intel it is hard to say what the new stepping will bring. Meanwhile, it is noteworthy that Intel plans to launch a new stepping of its Coffee Lake processors for whatever reason as it gets increasingly hard to make any alterations to modern CPUs. Intel did not comment on the news story. So this is 14++++++ or 14+++++++? Are you aware of what stepping actually is? As already stated in the article, they are to fix hardware-level erratas or improve the performance or efficiency or stability, or a combination of them all. Release of a new processor stepping is usually a non-event, unless it is meant to fix a major errata. Some errata can be "fixed" with bios updates, but some need a new stepping. I just wonder how much it costs these days to have an article published about a new CPU stepping (!) where you can't even see what's new (!!). I can't seem to find any other such article on AT over the past decade, and what is there is from back when a stepping made a world of difference in OC. "Intel did not comment on the news story." Of course not. They issued it. "it is noteworthy that Intel plans to launch a new stepping of its Coffee Lake processors"
No it's not. Unless it's to keep Intel in the news with such fake articles that make it look like something's still moving at Intel. "Unless it's to keep Intel in the news with such fake articles that make it look like something's still moving at Intel." While I won't comment on whether the article is fake or "paid", of course the idea is to "keep Intel in the news".They've run out of + to add to their 14nm node, CPUs based on their 10nm+ node are to be released in high volume (presumably) starting from December 2019 but only for the mainstream desktop market and below, so they've now resorted to issuing press releases for ... new steppings! By the way, they are apparently canning their 10nm node after just a single 10nm based Core-i3 15W specimen release in 2018, largely for schools in China, which had much worse clocks than its 14nm equivalent *despite* a disabled iGPU. The sole purpose of that pathetic specimen was naturally to report a nominal 10nm 2018 release to their investors and avoid having their stock hammered. The benefits of a new stepping in the past is generally what transition of 14 nm to 14+ nm would bring: slight tweaks to the design to enable lower thermals or jump up a notch or two in clock speeds. There of course would be some errata fixes with each stepping.